I found Fantasy Strike to be a damned good fighting game. After only a few minutes, I had everything down and was ready to get to the meat and potatoes. The simple controls mean you have more time to focus on zoning, mixups, and counters, as opposed to worrying about execution. I was skeptical, but my playtime made me into a believer. 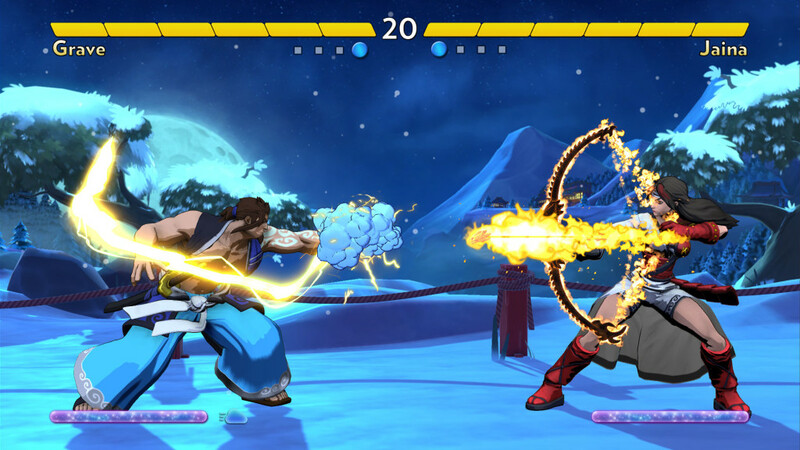 Fantasy Strike is now available in Early Access on Steam and is planned for release on PlayStation 4 and Nintendo Switch in 2019. Have a look at USgamer’s full article and learn more about Sirlin Games. This entry was tagged 2.5D, Early Access, fantasy strike, fighting, fighting game, game impressions, game preview, Games PR, indie, indie game, Mike Williams, nindie, Nindies, PAX South, PlayStation, PlayStation 4, sirlin games, steam, Stride PR, USGamer, video game, video game impressions, video game pr, video game pr agencies, video game pr agency, video game preview, video games, video games pr, videogames. Bookmark the permalink.